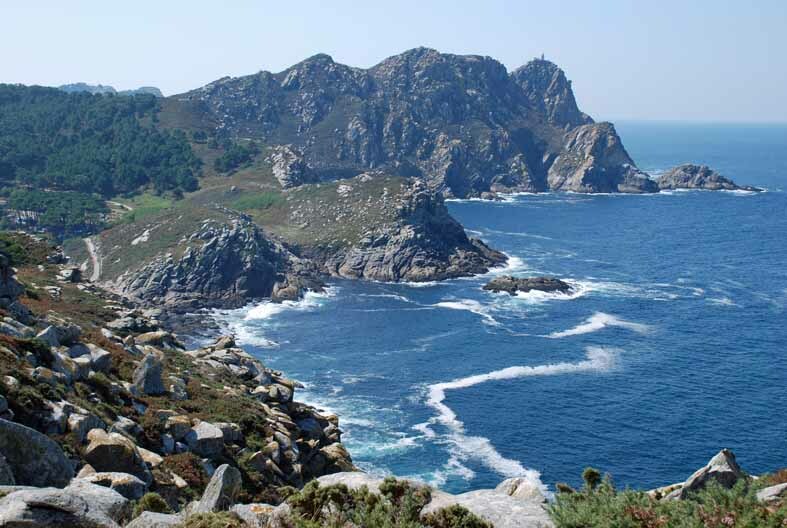 yesterday we had a day off from the conference proper, and i joined an expedition to the cíes islands national park. there are three islands in the group, two joined by a sandspit that creates a stunningly beautiful beach with crystal-clear, brilliant aquamarine water. the dunes host many interesting plants, but are quickly replaced inland by — of all things — pine and eucalyptus forests. there are apparently large colonies of seabirds, although i didn’t get the chance to see them, instead walking up to several vantage points including the highest of the three lighthouses. i’m actually a little disappointed with my photos – didn’t notice the camera was stuck on a particular setting that made things quite grainy, until about halfway through the trip — but you’ll get the idea.